Winter is all about hot drinks by the fire with friends, or a great excuse to set up a bar cart with a new purpose. This year I invited a few friends over for hot chocolate and decided to go a bit wild with the setup. 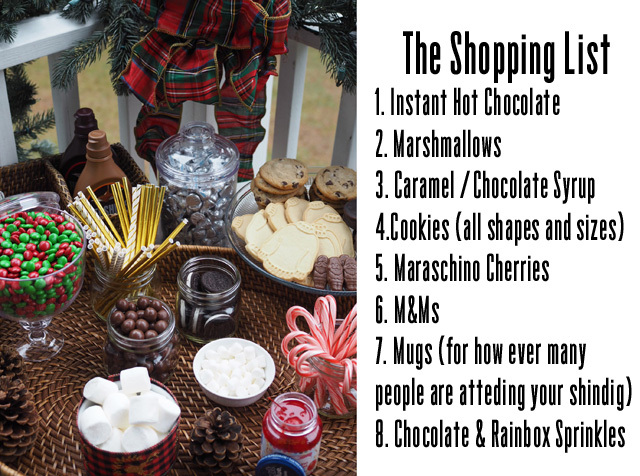 Although, if I'm being honest, I was wild and lazy, which is why I decided to outline a lazy girl's guide to creating the ideal hot chocolate bar without the effort. There are a few simple rules, perhaps a few surprises, and a great deal of fun involved. No need for pens, there's even a shopping list provided for you to print. See, you can be totally lazy too! 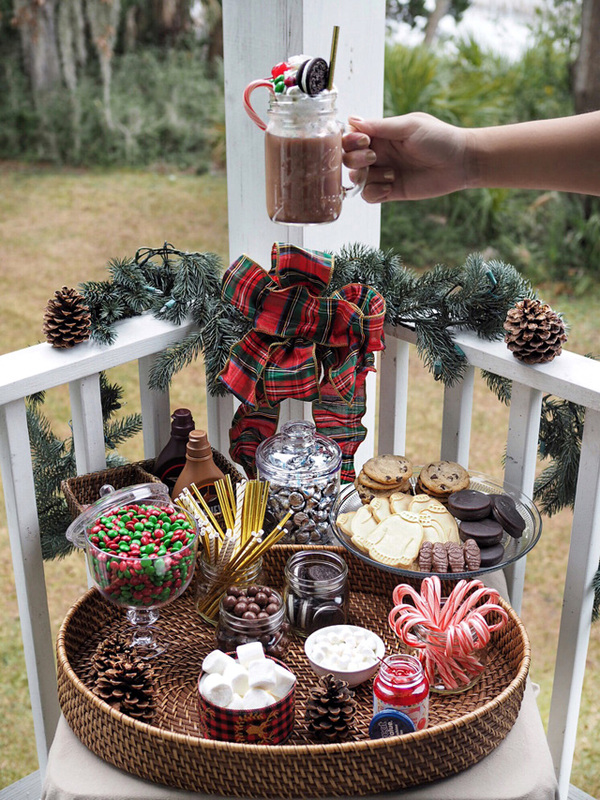 Now, first things first, there's no baking or making or any kind required for the lazy girl hot chocolate bar. The toughest thing you are going to do is shop it out. 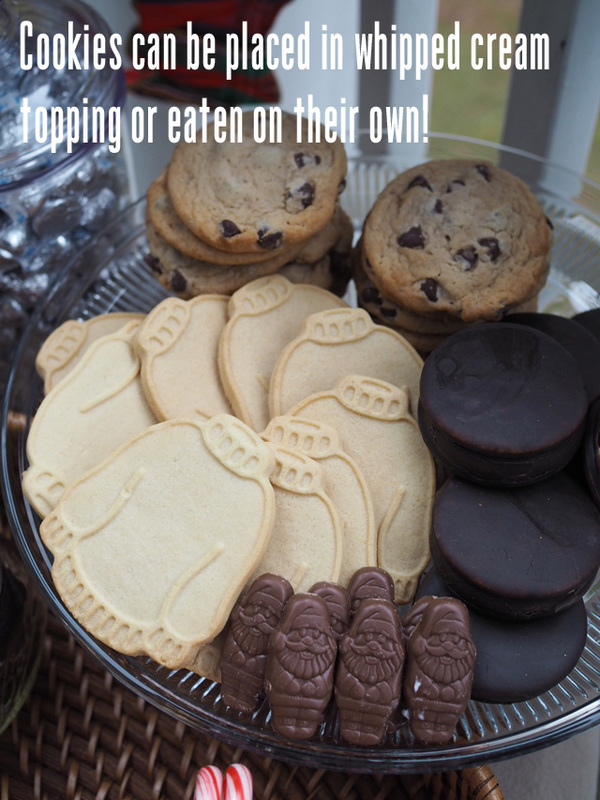 For my bar, I stepped into the supermarket and bought absolutely everything, from their freshly baked chocolate chip cookies to the instant cocoa used for the hot chocolates. Yes, I went instant. And why shouldn't I? The best hot chocolates these days are instant. Hell, even most of the big chains that are charging you $5 for that instant "gourmet hot chocolate" are using powder to create the beverage. Follow their lead. For the toppings, channel your inner freak shake maker. Buy everything your sugary heart dreams of. Some essentials are of course marshmallows, chocolate and caramel syrups and whipped cream. I also went for M&Ms, Hershey's Kisses and Whoopers. The hit, however, was the addition of a candy cane. 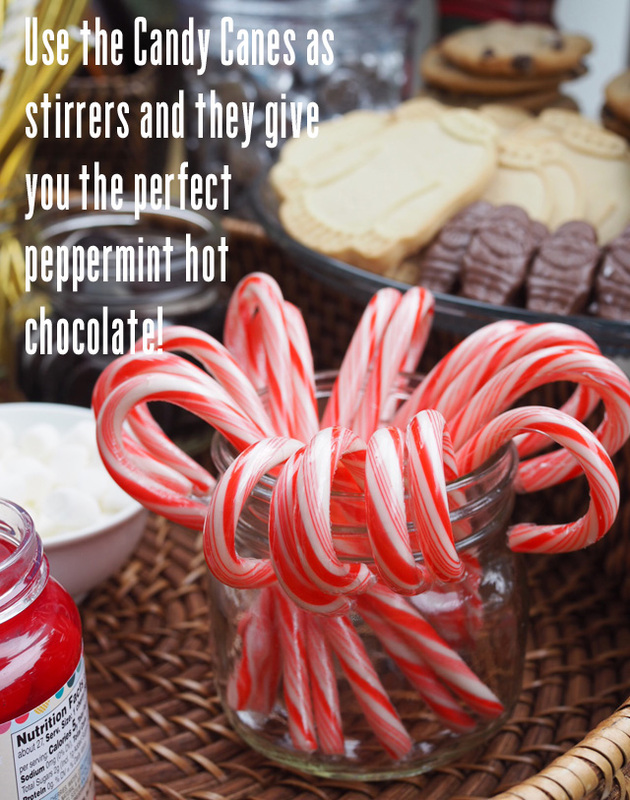 While I bought these to use as stirrers, I never imagined the fabulous combination of peppermint and chocolate would taste as if you were actually drinking peppermint bark. You have to try this! Now, for some added fun, make the whole thing a challenge. Who can make the craziest hot chocolate? The only key to this fun stunt is that whatever you make you have to eat and drink yourself! 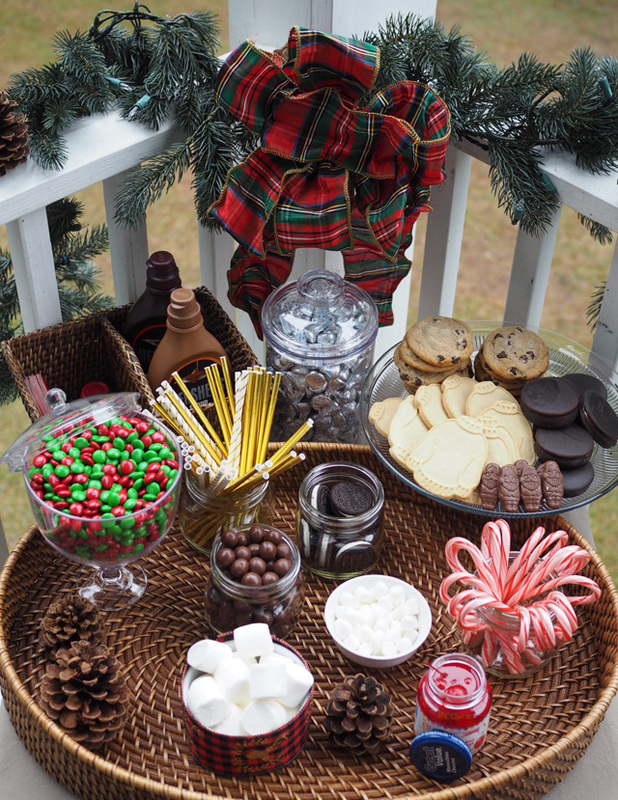 And that, ladies and gents, is how a lazy girl does a hot chocolate bar for friends!